Inspirations: Modern urban culture, tattoo and body adornments. Style: Clean, crisp and intricate. 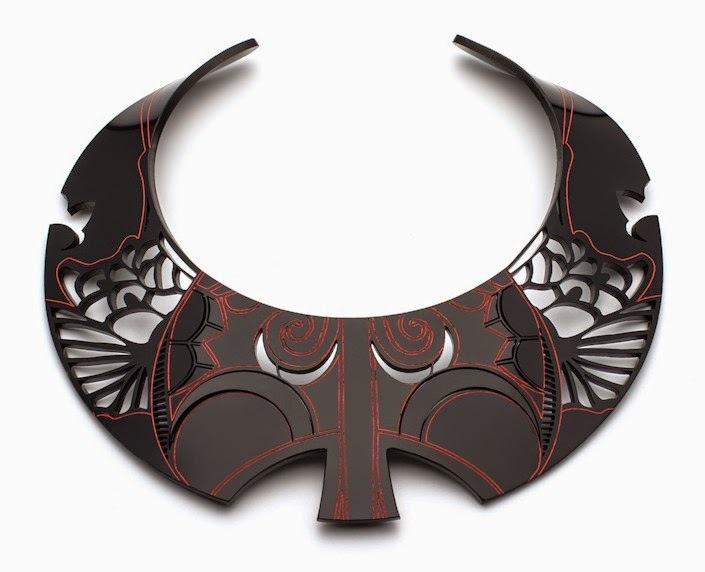 Bangle: Laser cut and engraved black acrylic with cadmium red detailing 'Irezumi' bangle from Red collection.